Amitabh Kant, CEO, Niti Aayog: "Our target is to make 30 percent of the two-wheeler population and 50 percent of three-wheelers switch over to electric by 2030." 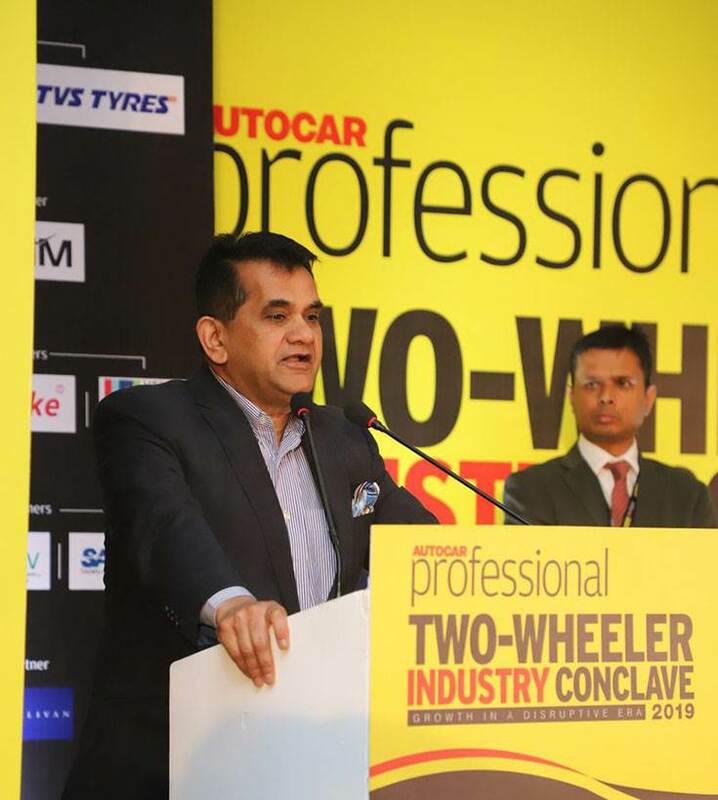 Amitabh Kant, CEO, NITI Aayog and Hormazd Sorabjee, editor, Autocar India, inaugurate the Autocar Professional Two-Wheeler Industry Conclave. 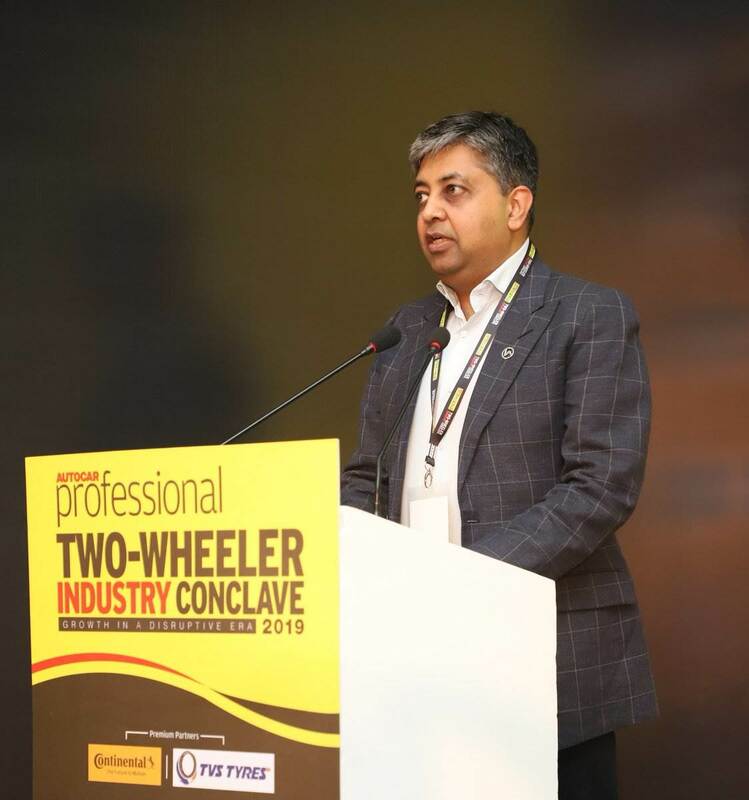 SMEV's Sohinder Singh Gill: The policy gives more weightage to high-performance electric two-wheelers as compared to their regular counterparts." Naveen Munjal, MD, Hero Eco Group: “The government should also look at battery efficiency rather than considering only the battery size." Dr Ravi Damodaran, CTO, Greaves Cotton: "Eighty percent of power generation in India is from thermal. Those in the world talking about electric mobility have already switched entirely to renewables." It was a packed house at the third edition of the Autocar Professional Two-Wheeler Industry Conclave in New Delhi. 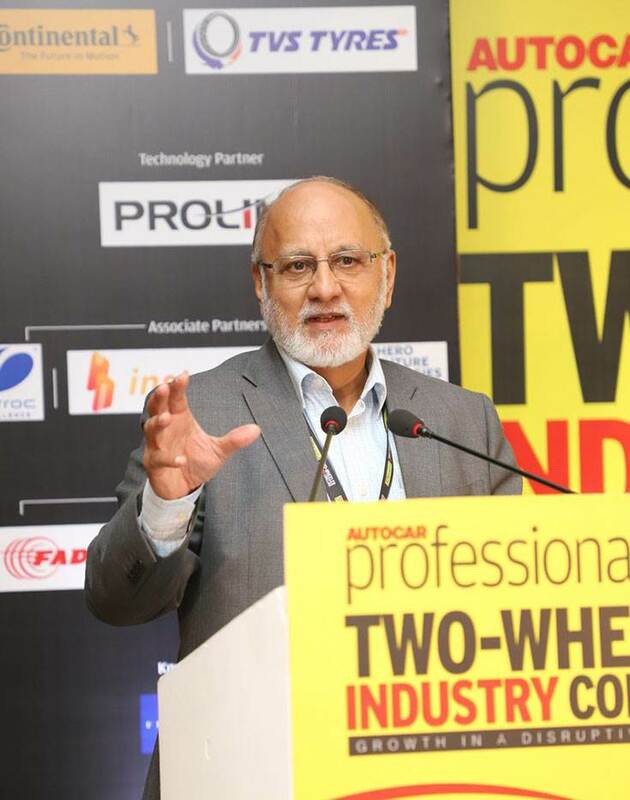 March 15 saw all roads lead to Autocar Professional's third edition of the Two-Wheeler Industry Conclave 2019 at the Hyatt Regency in New Delhi. From 9am, industry stakeholders across the automotive value chain queued up to register their presence at this must-attend event and within an hour it was a packed house. 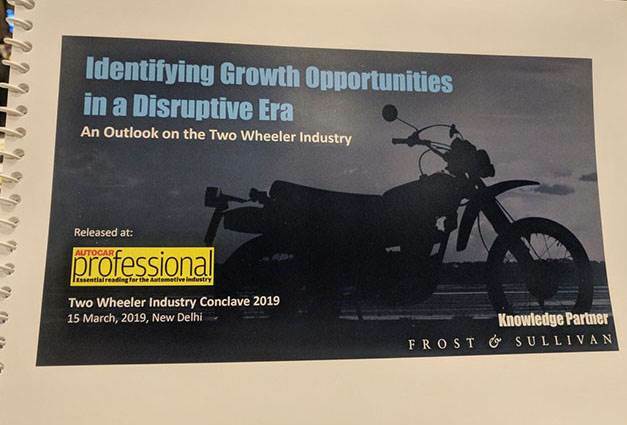 As it turned out, the day-long event proved to be full of riveting discussions and debates by captains of industry, bureaucrats and marketing heads, all of which offered many an insight on the present and upcoming trends that are impacting India's two-wheeler industry, the largest in the world. Given the overall theme of 'Growth in a disruptive era’, it was not surprising to witness electric mobility being discussed and debated in comprehensive detail throughout the day to brainstorm the way forward. Setting the tone for the Conclave, chief guest Amitabh Kant, CEO of NITI Aayog, the government's premiere policy think-tank, who inaugurated the event, shared his perspective on what will drive the growth story for the Indian automotive industry and the sharpened focus on the two-wheeler industry, which are tipped to be the drivers of electric mobility in the country. Amitabh Kant, CEO, NITI Aayog: "By 2030, almost half the vehicles in India will be EVs. India must get into the sunrise sectors and be the first mover." Turning to the two-wheeler sector, Kant said: "India's most important vehicle segment is two-wheelers. Of the two vehicle parc, two-wheelers and three-wheelers (which account for 30 percent of CO2 emissions) constitute 80 percent, of which 74 percent are two-wheelers. That is why we should shift to electric mobility. The cost of lithium-ion batteries is falling rapidly. From $250 per KW, it is estimated to drop to $75 per KW and in around four years' time, this should help make electric two-wheelers at par price-wise with petrol-engined two-wheelers." Commenting on the recently announced FAME II scheme, the NITI Aayog CEO said: "We altered the FAME scheme to essentially provide huge thrust to two-wheelers, three-wheelers and buses and increased the outlay to Rs 10,000 crore. The focus clearly is on two-wheelers. Our target is to make 30 percent of the two-wheeler population and 50 percent of the three-wheelers switch over to electric by 2030. Our focus is to increase the size and scale -- as we move from 2,000 parts to 20 parts, we must make electric vehicles fully in India. By 2030, almost half the vehicles in India will be EVs. India must get into the sunrise sectors and be the first mover. Growth belongs to the sunrise sector and India has a massive opportunity -- we need to be very ambitious and hungry for growth. Those who get left behind will be left out of business. There will be a time when polluters (IC-engined vehicles) will have to pay." According to Gill, "The EV industry which was about to take off now has hurdles. Ideally, the government should have supported the belly of the market. In the zeal to localise, we are putting 20 percent more into cost. In FY2018, 55,000 electric two-wheelers were sold, in FY2019 it will be be less than that and FY2020 will likely see sales of only 35,000 units." "If the government can partner the Indian EV industry and grow awareness of EVs under a Swacch Bharat campaign, it can do wonders for the cause of electric mobility," pointed out Gill. Hero Eco Group's Naveen Munjal: “The FAME II Scheme needs tweaking. The government should also look at battery efficiency rather than considering only the battery size." While electrification is being widely considered as the new propulsion technology the world over with countries like China, Norway and the US already making big strides, India's lack of clean energy puts it in a fix. Greaves Cotton's Dr Ravi Damodaran: "CO2 limits will help diesel, penalise petrol and benefit CNG." "Eighty percent of power generation in India is from thermal. Those in the world talking about electric mobility have already switched entirely to renewables,” said Dr Ravi Damodaran, CTO, Greaves Cotton. As a result, CNG, methane produced from non-fossil fuels and even liquid nitrogen have emerged as possible alternatives with regard to India's unique challenges. Interim measures of mild-hybrids with integrated starter generators (ISGs) were discussed to be the stepping stones to full electric mobility in the country, till the time a robust solar and hydro-power network is put into place, said Dr Damodaran. Representing the country’s largest two-wheeler manufacturer, Hero MotoCorp, Malo Le Masson - Head, Global Product Planning, took an optimistic stand saying, "Electric two-wheelers in India are not a question of 'if' but 'when'. Finally, it is all about building an EV ecosystem." The Conclave, which had three sessions, saw a lively debate among stakeholders on India's progress in terms of becoming a mature market over the years and how it is opening up to new products and experiences. Evolution in road safety took the centre stage and with ABS becoming mandatory on all new as well as existing models above 125cc in engine capacity from April 1, 2019, the regulatory reform got praises aplenty. Global automotive technology giant Continental said that it is now bullish on seeing massive improvements in two-wheeler safety over the coming years and is targeting over 2.4 million volumes of ABS modules by 2020, scaling up to over 4.5 million units by 2022. Change in the retail experience was also discussed with companies like Ather Energy going all out and saying that the S-450 and the S-350 electric twins were backtracked and designed basis a new online retail concept. "Digital awareness within the dealer fraternity is at an all-time high. 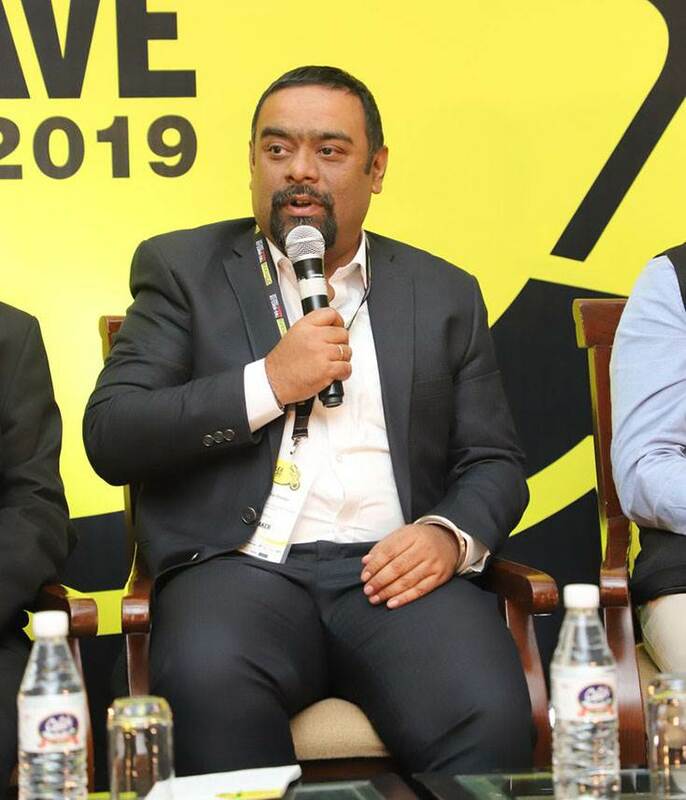 Dealers are aware that they need to fulfil and facilitate a relevant digital customer experience," said Nikunj Sanghi, director, International Affairs and past president of Federation of Automobile Dealers Association (FADA). Nikunj Sanghi: "Digital awareness within the dealer fraternity is at an all-time high." 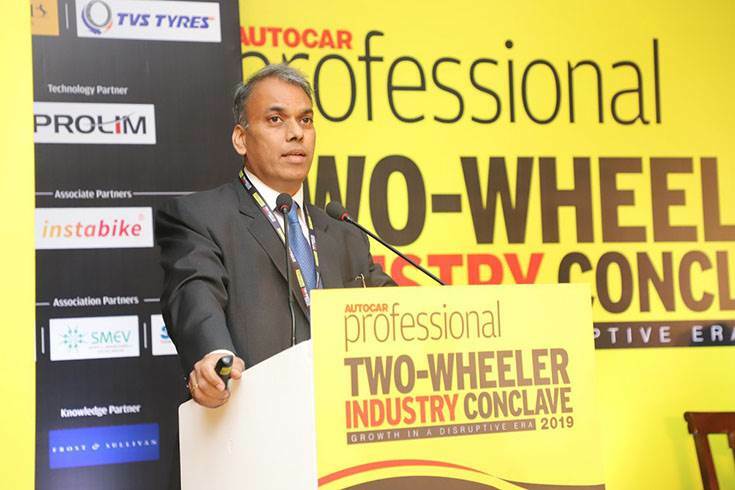 Even though digital penetration is happening fast and completely online models are being proposed a la Tesla, Aniruddha Haldar, TVS Motor Co's vice-president (Marketing), Commuter Motorcycles, Scooters and Corporate Brand, said that OEMs and dealers are very closely associated and OEMs cannot exist without the dealers. Commenting on the scooter and motorcycle sales comparison, Haldar said, "Evolution of the commuter motorcycle in India is not yet complete. Motorcycles will still rule given the nature of performance they offer." TVS Motor Co's Aniruddha Haldar: "Evolution of the commuter motorcycle in India is not yet complete. Motorcycles will still rule given the nature of performance they offer." Rounding up, the industry unanimously agreed that BS VI is the biggest challenge at the moment and it will be going to be tough to explain price increase with respect to the value added into the products from April 1, 2020 onwards. "The customer is going to ask tough questions. Apart from technology, customer understanding will play a critical role for OEMs," Haldar added. Representing midsize and premium motorcycles, Ducati India's managing director Sergi Canovas said that India remains a key market for Ducati globally and that the company will launch a new BS VI product here even before Europe. However tough the situation may be, the Indian automotive industry has, in the past, stood up to some herculean challenges. Year 2019-2020 again marks one such tough juncture for the sector with a slew of regulations-driven reforms. 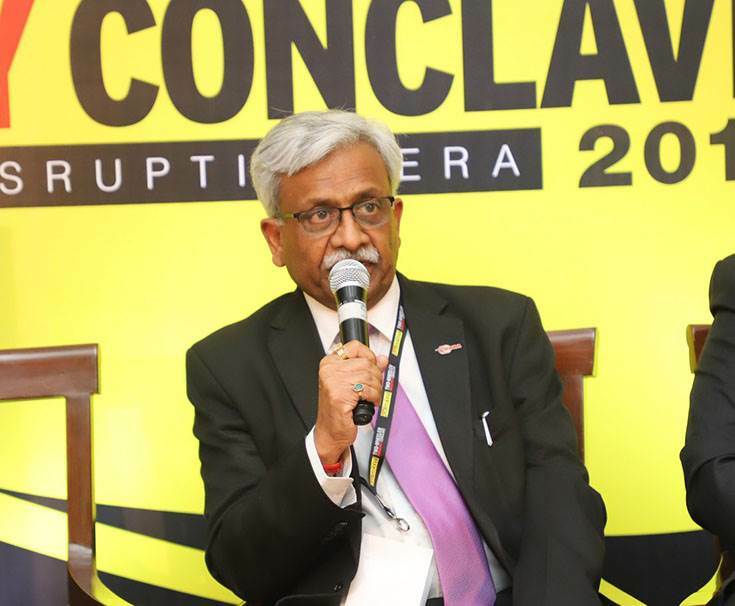 The Conclave closed with the consensus that while India Auto Inc has a host of challenges to be overcome, there are equal opportunities ahead as well. BS VI could also help Indian two-wheeler makers drive gains in a level playing field, able to sell their products in all globally developed markets. 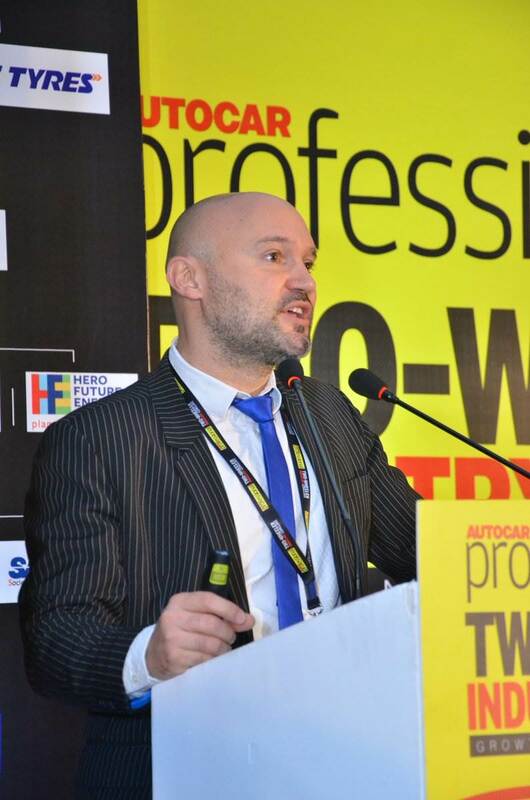 Autocar Professional thanks all the eminent speakers, sponsor partners Continental, TVS Tyres, Prolim, Varroc, Instabike, Hero Future Energies and association partners FADA, SMEV, SAE India and knowledge partner Frost & Sullivan for making the Conclave a grand success. The Conclave also saw the launch of Frost & Sullivan's white paper on 'Identifying Growth Opportunities in a Disruptive Era'.